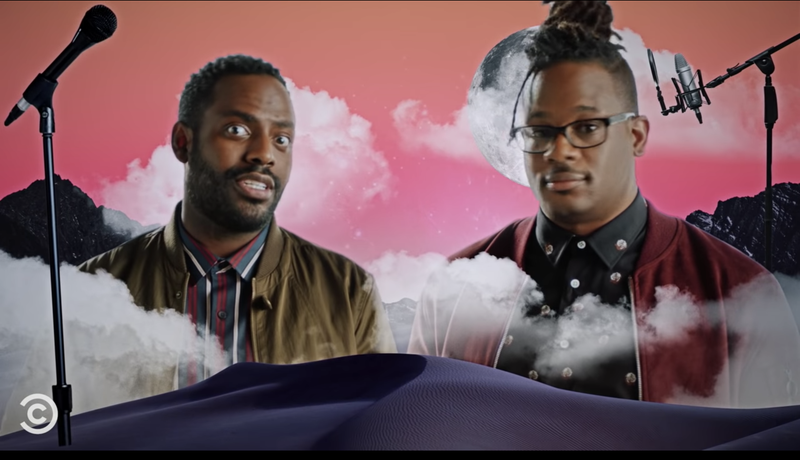 The New Negroes stars Baron Vaughn and Open Mike Eagle. And as Vulture reports, it is touted as a hybrid of stand-up comedy sets and live musical performances. There are eight episodes in the first season. Along with the stand-up sets, there will be original music videos that feature Open Mike Eagle performing alongside musical guests such as Method Man, Lizzo, MF Doom, Danny Brown, Father, Phonte and Sammus. Comedians will also make guest appearances, including Hannibal Buress, Chris Redd, Lil Rel Howery, Sasheer Zamata, Dulcé Sloan, Sam Jay, George Wallace, and Donnell Rawlings. In Open Mike Eagle’s own words, he does the rap, and Baron does the stand-up. A new trailer has been released for the show, which will debut on Friday, April 19 at 11 p.m. on Comedy Central. Catch it below and let us know what you think in the comments.